Ashland, the Homestead of Henry Clay. 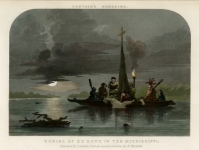 Burial of De Soto in the Mississippi. The Battle Ground at Trenton.